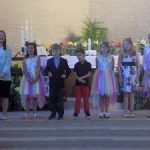 CHILDREN’S MINISTRIES – At UMCPW, Christian Education is highly valued. Apart from weekly Sunday School for children from 4 – 12, there is also child care for younger ones during Sunday morning worship. Though we do have Sunday School and a nursery, we know sometimes families are more comfortable staying together. There are children’s books and activity bags in the entryway. 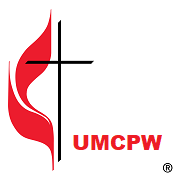 UMCPW subscribes to the Safe Sanctuaries policies of the church in order to protect our children and volunteers/staff, as well as to provide the most positive environment to grow in God’s love. ADULT MINISTRIES – Pastor Romi is leading a Bible study on Tuesday mornings in the Parlor. MEMBERSHIP CLASS – Four Class sessions for new members are held prior to their reception into the congregation. While members are received throughout the year, two special times are Easter and Christmas. Services of Reception are held on Holy Saturday and on the Fourth Sunday in Advent. As a signal that they are welcomed into the fellowship, new members assist with the distribution of the elements in the Communion Services immediately following reception.